Absolutely beautiful my friend. Fabulous papers. The flower is adorable and I love the stitching. Love how you added the twine to the flower very creative. Hope you have a fun and safe holiday. Love the design and pretty papers! 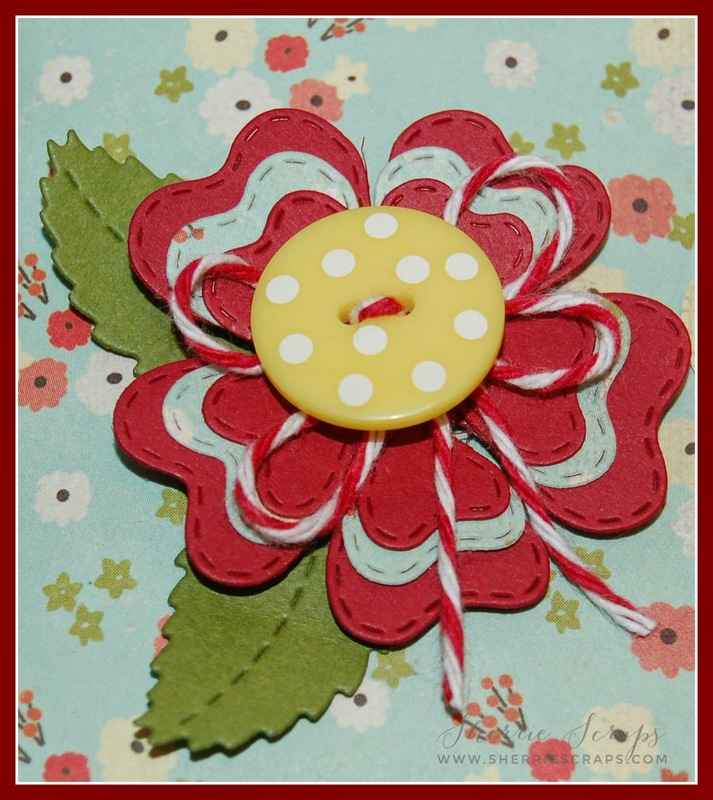 The flower with the stitched edges look fabulous....your friend with love it! These are really cute Sherrie! I like the way you have the sentiment on the side. This is so gorgeous, Sherrie!! The papers are beautiful!! I love the flower!! The button looks so fabulous in the center!! What a sweet and thoughtful gift this is!! Sherrie this is so pretty! I love those papers and the flowers are so awesome! 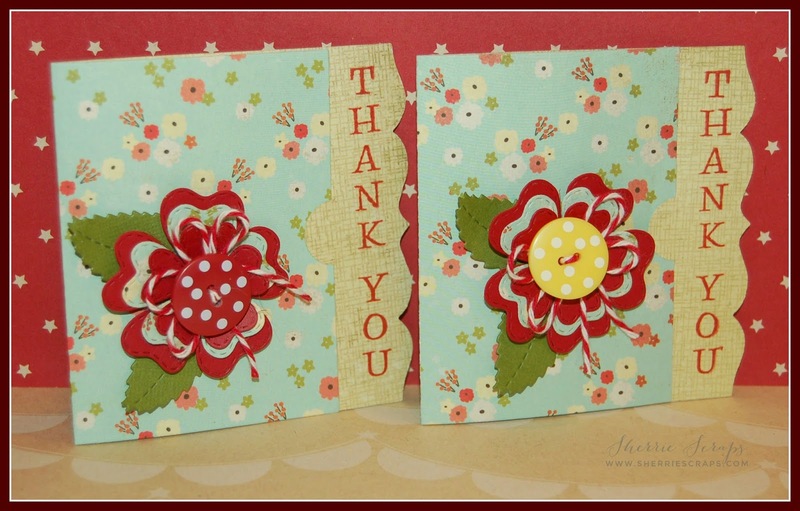 These are such pretty thank you cards! Soooooooo beautiful! LOVING the colors and those buttons!!!!!!! This is so pretty Sherrie, I love the colors and these are great gift card holders. Beautiful love the card shape and the pretty papers! What an amazing gift card holder! The papers are gorgeous and I love those flowers! Such a wonderful handmade gift for your friend, I'm sure she will treasure it! Sherrie ~ Oh these are GORGEOUS! I LVOE the papers you used with all the MCT goodies!!! BEAUTIFULLY done! Your friend will treasure you even more!! Enjoy your trip ~ I bet you need some R & R about now! You have one busy summer! Enjoy! This is such a sweet, sweet gift card holder! 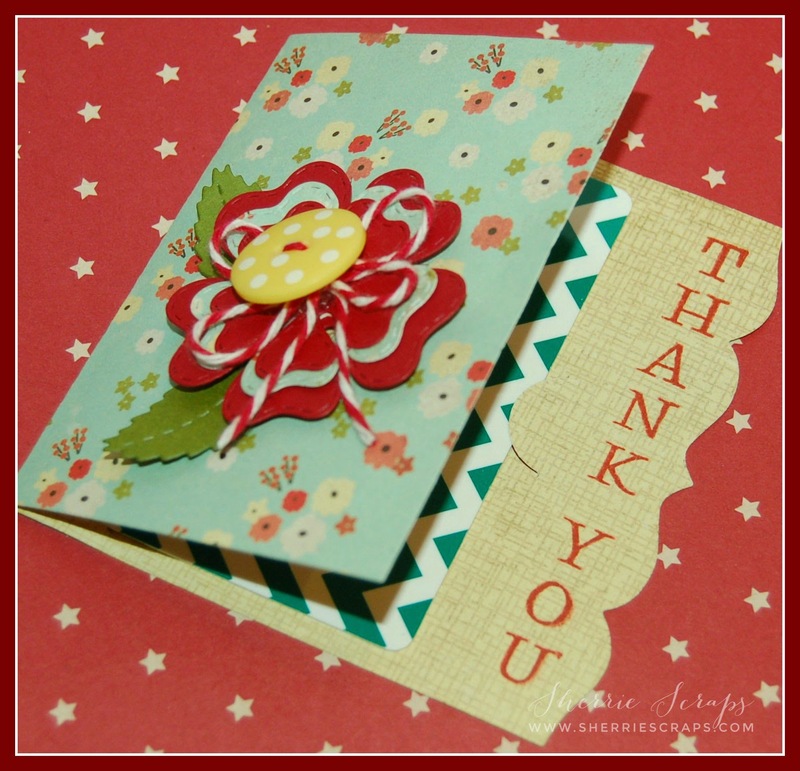 Love the pretty papers and that beautiful, layered flower! Great idea to make a second one, will come in handy for sure! Have a wonderful trip and enjoy yourself my friend! Hi Sherrie. Your gift card holders turned out wonderful. I love the double sided paper-great to use with this die, then you don't have a plain inside. Boy am I enjoying those fun side dies Have a great vacation. Very pretty card!!! Thanks so much for participating in our DECORATE TO CELEBRATE challenge!! Hope to see you again for our next challenge!! Oh Sherrie this is a lovely card and the flower with the center is beautiful:) Thank you for joining us over at Decorate to Celebrate!! I love how you added the twine on the beautiful flowers. Gorgeous gift card holder. Rhonda will love it!! love love love the shape of this and the beautiful flowers too! 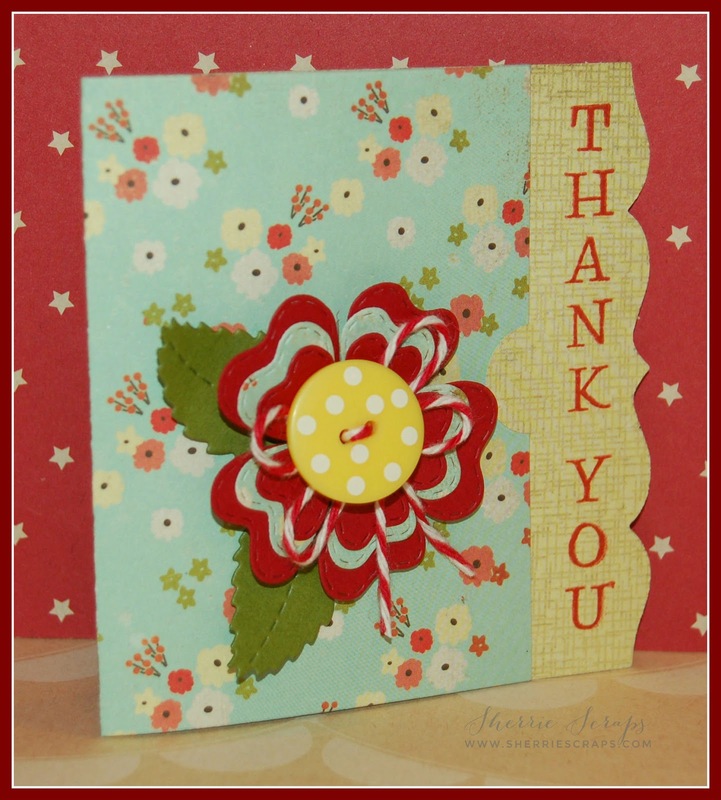 Thanks for joining us at SweetStamps.com! Wow! This is gorgeous! I love the design and the lovely scalloped edge. I hope you are having a great vacation! I thought you were away but then saw your newest two posts and thought perhaps you were still home. I should have read this one first!! Enjoy your time away!! What a pretty little gift card holder my friend !!! The colors are perfect !! !